And here…we…go. A ticking bomb season finale always gives me the heeby-jeebies, because there are only two possible outcomes. The first is that our heroes succeed in their season-long quest to save lives and stop the bomb from going off. While it’s always nice to see good conquer evil, these kind of endings run the risk of feeling anticlimactic, and “Homeland” has been nothing this season if not anticlimactic. Of course, the second option runs its risks, too. If the bomb does go off, then it will likely set in motion a series of extreme scenarios from casualties (“Who died? !”) to the blame game (“Is Saul in trouble? Is Carrie? !”) to tracking down the terrorists. That could lead to a cliffhanger ending, which also irks me unless it’s done extremely well. 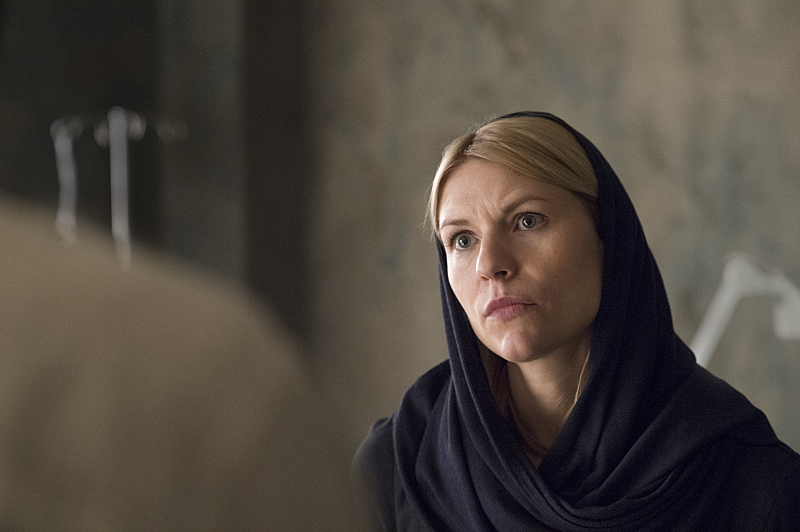 While “Homeland” pulled off an explosive season finale pretty successfully in Season 2, it wasn’t foreshadowed as bluntly as this one. In other words, we didn’t know it was going to happen for a month-plus. We’ve been saying from the start that Season 5 has been digging up past memories and reviving proven techniques of the past. Yet over the course of the past few weeks, they’ve gotten a little off track. Never was that clearer than when we watched Allison get a secret mission in the bathroom this week. For a few moments, I thought we would finally be held in some suspense as to what was going to happen next, but then a new handler showed up and laid it all out for us again. In the old days, we would’ve been playing along with the story, trying to catch up with whatever these clever spies were up to, enjoying every second of it. We didn’t know what side Brody was on, and even when we found out, what his next move was remained murky at best. Now, we’re told what’s coming, and then we watch it unfold. “Allison’s gone! Whaaaaaaat?” That was closer to my actual “immediate reaction” to what’s above. Apparently, she thought her lies had finally caught up with her. She was certainly flustered when Saul showed up to question her, but after staging an impressive and elaborate shootout in the professor’s apartment, I thought she might try to stick it out with the CIA. After all, she completed her assignment from the Russians and could collect her millions from a desk at Langley…or maybe not. Allison is brave, but careful. She’s pushed her credibility to its limits — past them when it comes to Saul — and now she’s putting her faith in fleeing. But honestly, I’m not sure I want her to get caught. Season 5 has burned a little too slowly for my liking. We’ve been waiting for this attack to happen for more than five weeks, with little excitement to speak of along the way. So even if catching her closes the circle on her arc in Season 5, I’m not sure it would be worth it. Allison Carr has been given so much screen time, so much establishment, she feels as though she could disappear for a while and then return as a Big Bad in Season 6 or 7. 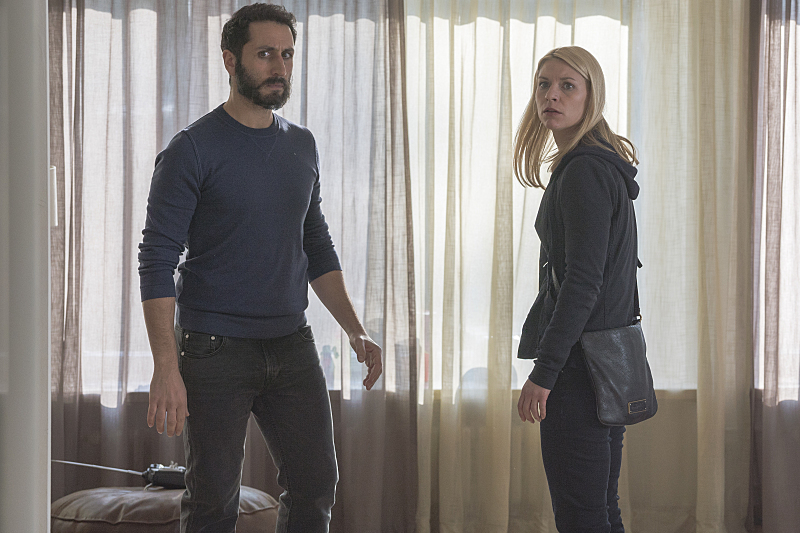 (“Homeland” was renewed, after all.) It may not do much to satisfy fans in the immediate future, but it could be the best thing for “Homeland” in the long run. Early in “Our Man in Damascus,” Carrie and Saul decided to put Quinn through a medical test in order to revive him — even briefly — because he might have information about the upcoming attack. Now, this is a far cry from Carrie ordering bombs to be dropped on Saul’s head, it’s at least a little bit nuts. Just hours before, they both thought Quinn was dead. Now that they know he’s holding onto life, their first action is to push him closer to death. Quinn, at best, would probably want them to do this because he does believe in the greater good. But for them to make the decision on their own is …risky. Carrie never ascended to the level of crazy this kind of choice could bring out (though her attempts to convince strangers to send a text vital to national security was pretty amusing), but “Homeland” is always at its best when she’s pushed closer to these moral limits. Next week, she should be closer than ever. Here’s hoping, anyway. All the anger in Saul that came to a turbulent surface last week seemed to level off in “Our Man in Damascus.” Never was that more evident than when Faisal Marwan — the released prisoner given up by Otto to the CIA for questioning — committed suicide after being subjected to some rather extreme interrogation procedures. Saul was behind the abrupt capture of a man willing to give himself up, making his death all the more personal — and we felt it, too, because of Mandy Patinkin’s subdued, moving performance. 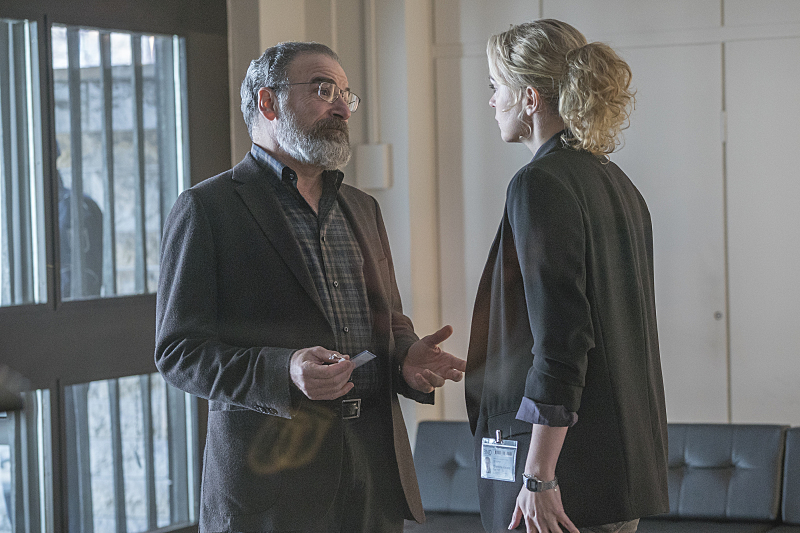 It helped, of course, that Saul was working his way back to becoming the moral compass of “Homeland,” but Patinkin has proven himself talented enough to take the character to each extreme. 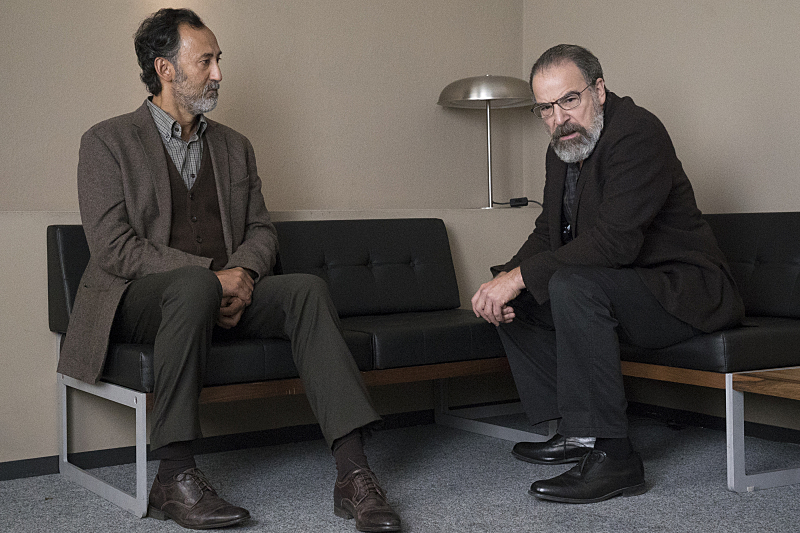 We’re glad to see him coming back to his core, but even luckier to have Patinkin here to guide us through every emotional cue in Saul’s deep waters. “You deal with Laura Sutton. I think I’ve had enough for one day,” came in a close second, but Saul’s utter agony — in seeing “journalist” Laura Sutton take to TV during a nationwide crisis and threaten to further risk national security by releasing protected government documents if a man with pertinent information to the immediate issue at hand wasn’t released — perfectly encapsulated our unified frustration with this maniac all season long. As soon as she called Newman to make sure her evil plan would go through “if something happens to me,” we knew something terrible was about to happen — but not to her. Look, her point isn’t that far off. Governments are going too far and no one is able to keep them in check. But timing is everything, and you don’t make yourself the center of attention when a bomb is about to go off in your adopted city. Let them do their job. Let this crisis end. Then start your crusade. And for the love of God, learn to listen! Otto told you what to do. Carrie told you what to do. Astrid told you what to do. You’re like a little kid throwing a tantrum. Just be cool, Laura.